We see a lot of DIY plumbing attempts and some of them are just too funny not to share. Not all of us are meant to be plumbers, thank goodness, since the world also needs so many other amazing professions. Plumbing isn’t as easy as it looks or as easy as the person in the plumbing department at the local hardware store makes it sound. Many small DIY projects go just fine for handy homeowners, but there are those that are epic fails. This week we would like to highlight a project where the homeowner was experiencing a stoppage in their bathtub. The homeowner, not having an accurate understanding of how the drain lines work and where they are actually connected, took a drill to his tub. The homeowner drilled through his porcelain tub several times, which of course, allowed his tub to drain, but not where he thought it would. The water drained into the ground beneath the tub and after several weeks of usage created quite a flooded mess. While we feel for this homeowner as the tub had to be replaced, his wife was thrilled at the mistake because it was the catalyst to the bathroom remodel she had been wanting for several years. The moral of the story, if your tub is draining slow and you’d like to attempt this repair on your own, please don’t get out the drill. 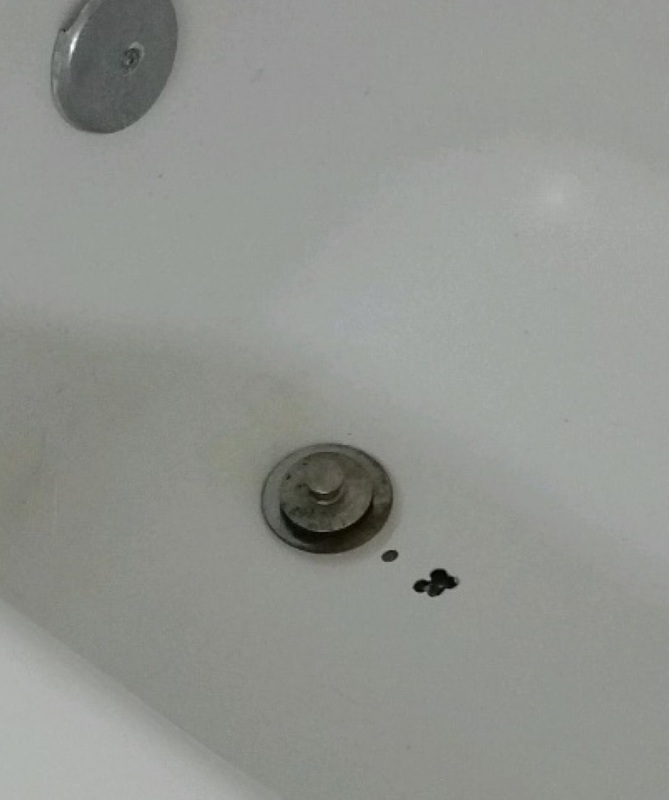 Tub stoppages are usually caused from excessive hair down the drain. A great option to try and clear that hair on your own is to take a metal coat hanger and extend it apart fully. Turn one end into a small hook and gently fish the hook end into the drain. Be forewarned, this is not a clean project. Be sure to have a plastic bag nearby to put all the hair into. If this doesn’t solve your problem you’d be best served to hire a professional plumber to clear the drain. You may be tempted to dump drain cleaning chemicals down your drain but this rarely works and can cause damage to your pipe if your drain line isn’t ABS.